These items are available now through the Fellowship. They are perfect for current members (to discover new perspectives on what you already know) and as gifts for friends and family members (to introduce the Fellowship). Please print the Order Form for information regarding submitting payment, shipping, etc. Wayne Guthrie D.D. & Bella Karish , D. D.
A teaching of unique 500,000 year-old wisdoms from an ancient mystery school inviting you to be an explorer of your Three Levels of Consciousness -- your Conscious, Subconscious and High Selves. In this transformational process requiring recognizing and releasing problems and blocks (karmic patterns) to our Higher Consciousness, Grace and Miracles appear as we discover and fulfill our life purpose. The blending of the Three Levels of Consciousness fills our lives with Compassion, Love, and Gratitude, increasing the Light of our Souls as we become "gods-in-the-making." Bella Karish, D.D. & William Miller, D.D. Ten Steps showing you how you can blend and balance your Three Levels of Consciousness --- your Conscious, Subconscious, and High Selves -- in order to achieve the alignment of the human and the God-Self. A perfect way to learn more about applying the Three Selves teaching. This, the Fellowship's latest book, is the best and clearest elaboration yet of the Three Selves perspective. Brand new! The perfect way to learn more about your Three Selves! In this new 160-page book, Eternal Cosmos presents Ten Steps for Working with your Three Selves (from Belief and Acceptance through Fulfillment of Karma and Dharma). Other chapters from EC cover The Importance of Discipline, Service to the Subconscious Awareness, Meditation and Visualization, Activating Your Purpose, and much more. Also included: explanations of the Field of Consciousness and the Three Selves Concept, plus an added bonus by Dr. William Miller, “Counting Your Blessings,” an explanation of the Fellowship’s unique approach to numerology. “When I was introduced to the concept of the Three Selves, I realized I had found what was needed to proffer more insight, knowledge, and understanding to those seeking help—what would ultimately assist them to put balance and security into their lives. The Fellowship, Bella, and the Three Selves concept are a treasure.”—John E. Rhone, M.A., M.F.T. The Masters of the Angelic Spiritual Hierarchy have given our Fellowship an ancient, mystical Mantra Prayer of Protection. 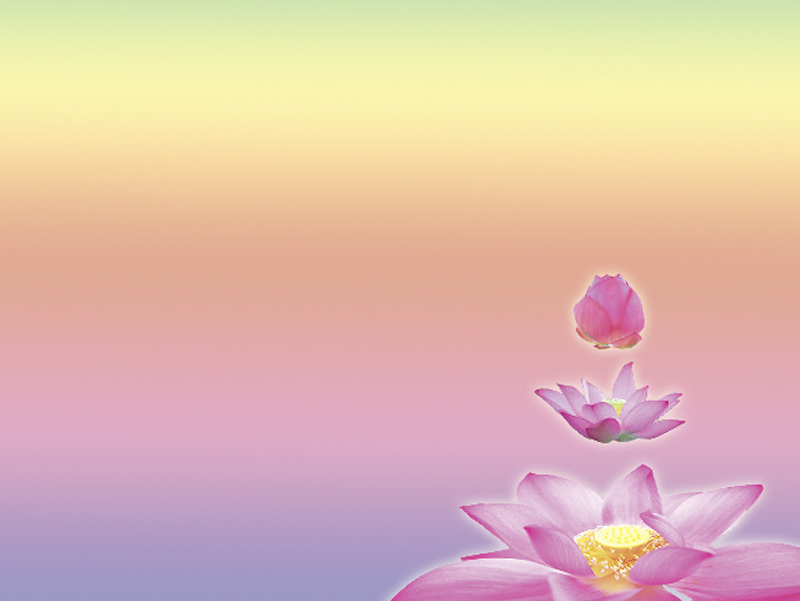 This bookmark is accompanied by a brochure that explains the purpose of the Mantra, the ways to use the Mantra, and the interpretation of the Mantra. The Masters of the Angelic Spiritual Hierarchy have given our Fellowship an ancient, mystical Mantra Prayer of Protection. This book mark is accompanied by an explanation of the purpose of the Mantra, the ways to use the Mantra, and the interpretation of the Mantra. This Mantra Prayer is an extremely potent and effective form of help and protection. Such assistance is much needed in these times, when many individuals are experiencing distress and disorder and are finding that establishing and maintaining physical, emotional, mental, and spiritual balance is difficult. This powerful Prayer helps reestablish that balance. Wayne A. Guthrie, D.D. & Bella Karish. D.D. This exceptional 95-minute DVD is the only existing audiovisual record of Dr. Wayne Guthrie and Dr. Bella Karish working together live, as they research the Three Selves approach to the multiple levels of human consciousness. A real treat for long-time students of the Three Selves and newcomers alike. There's nothing else like it! 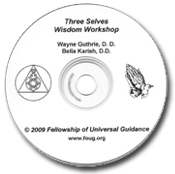 Featuring the co-founders of FOUG, this unique 95-minute DVD presents a discourse by Dr. Wayne Guthrie and channeling by Dr. Bella Karish. It is the only existing audiovisual presentation by Wayne and Bella together during a Fellowship class, as they research the Three Selves approach to the multiple levels of human consciousness—the Basic (or Subconscious) Self, the Conscious Self, and the High Self (or Divine Mind). Applying this knowledge can help individuals gain insight into integrating their three levels of consciousness and balancing their physical, emotional, mental, and spiritual bodies. Here's your opportunity to own this exciting new addition to our publications inventory. It's the 27-minute DVD of a classic talk by Fellowship co-founder Wayne Guthrie, D.D. Titled Three Selves Approach to the Field of Consciousness, it was originally filmed during a Fellowship class that explained the Three Selves perspective on the multiple levels of human consciousness—the Basic (or Subconscious) Self, the Conscious Self, and the High Self (or Divine Mind). Applying this knowledge can help you understand and bring harmony to your physical, emotional, mental, and spiritual bodies. 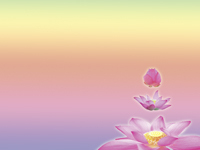 The Light Attunement has been given to the Fellowship of Universal Guidance by our Spiritual Guides and Teachers. It assists those who desire spiritual fulfillment and evolvement by clearing, cleansing, balancing, and attuning all chakras, bodies (physical, emotional, mental, and spiritual), and levels of consciousness within the Universal White Christ Light. 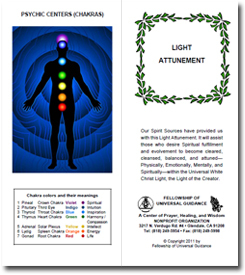 This brochure explains the benefits, procedures, and the Closing Prayer of the Light Attunement. 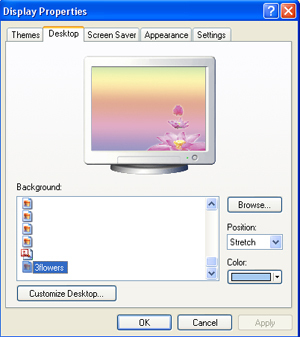 It also includes the Psychic Centers with their chakra colors and meanings. 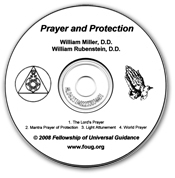 This inspiring 13-minute prayer series, recorded during the Fellowship Prayer Circle, includes the Mantra Prayer of Protection (to cleanse and align your chakras; your physical, emotional, mental, and spiritual bodies; and your Three Levels of Consciousness) and the Light Attunement (for prayer, meditation/contemplation, self-balancing, and protecting yourself before and after sleep or daily activities). 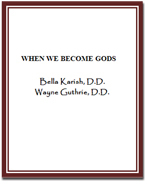 Both were originally brought forth from Spirit through Dr. Bella Karish and Dr. Wayne Guthrie and they are presented here by Dr. William Rubenstein, who also offers The Lord's Prayer, perhaps the world’s most beloved, timeless, and practical invocation of the Presence of God. Also included here, offered by Dr. William Miller, is the World Prayer, which helps bring balance, healing, and peace to our planet Earth and its people.